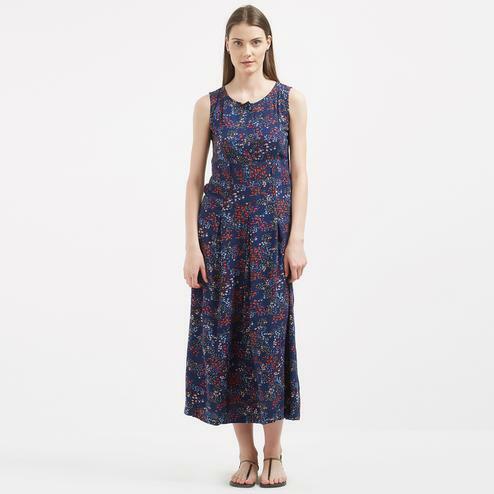 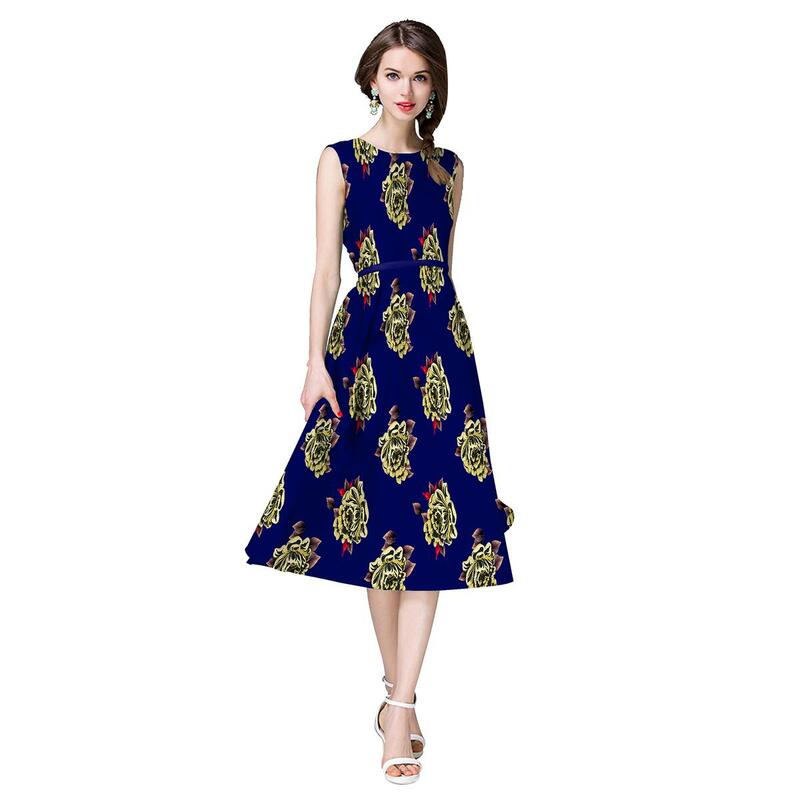 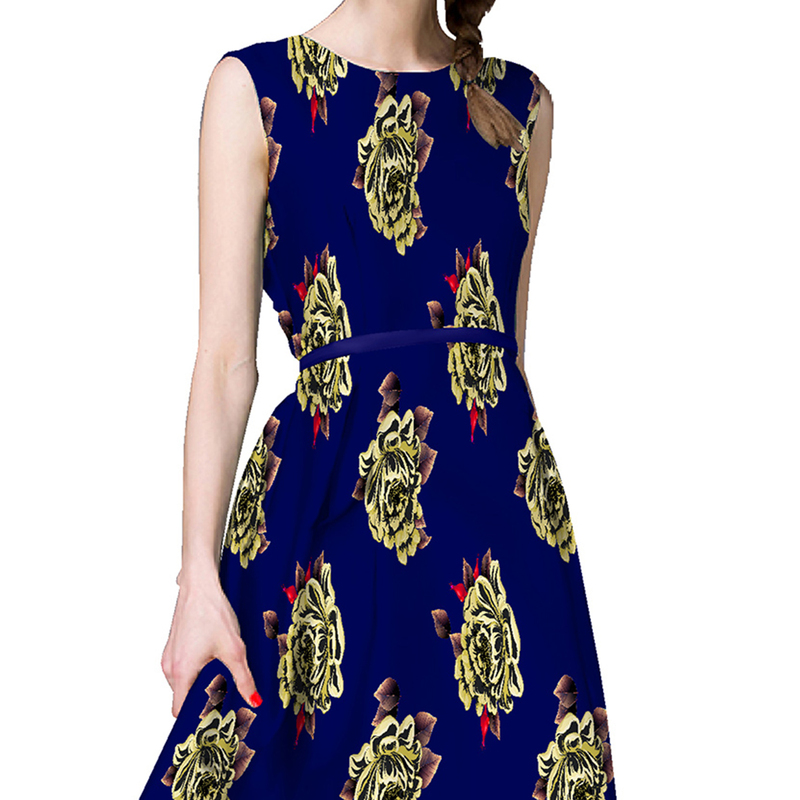 Upgrade your wardrobe with this dark blue western dress which has been enriched with attractive floral and leaf design printed motifs done all over. 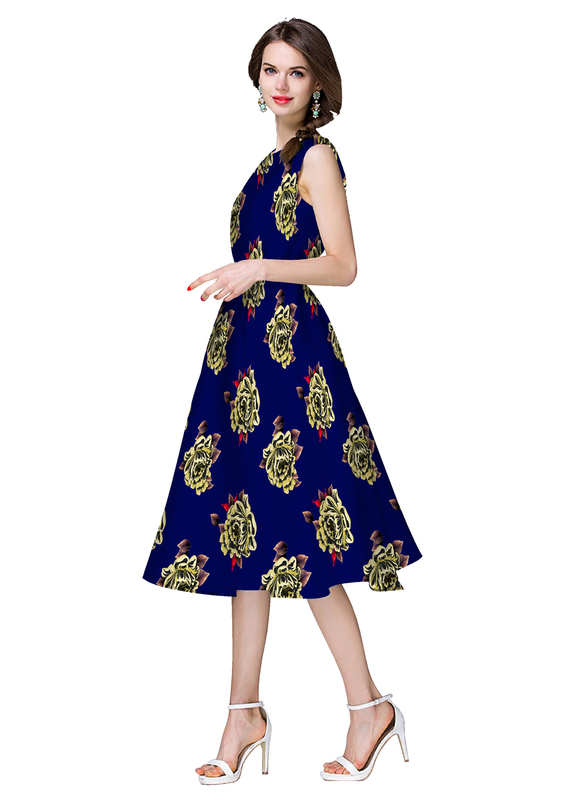 This ready to wear outfit is suitable to wear for weekend parties and events. 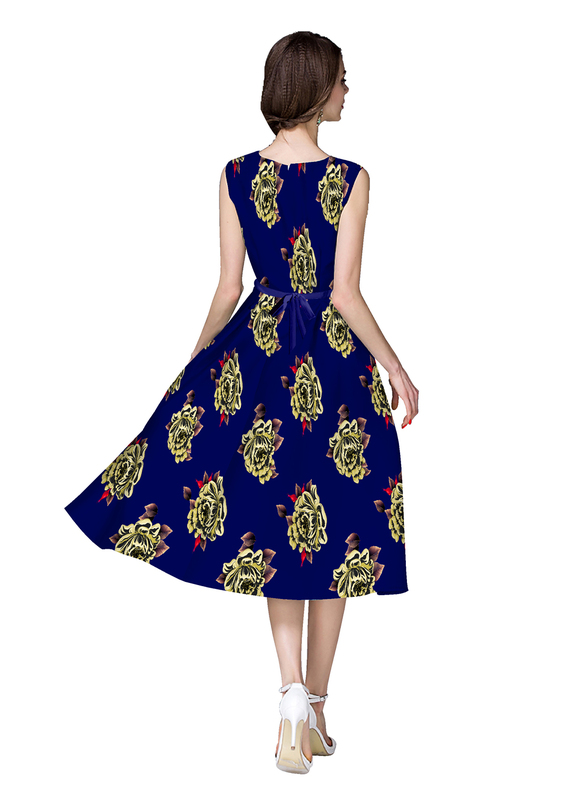 It's made out of satin fabric paired with crepe lining.